Blog Are there ANY safe seats on public transit? 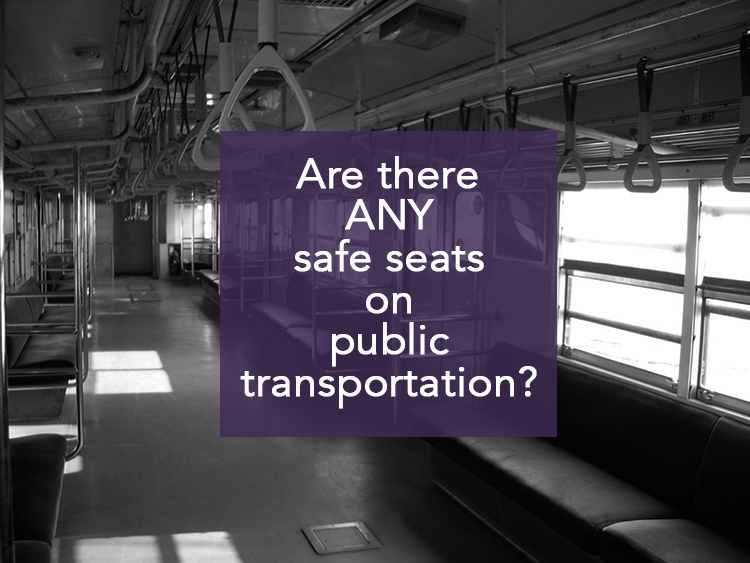 Are there ANY safe seats on public transit? One of my least favorite things about traveling to exotic destinations is driving in unfamiliar traffic conditions. This can vary from the mild inconvenience of not knowing my way around the neighborhood all the way to driving on the opposite of the road with zero road shoulder. Hence, when I find myself in foreign lands, I am the Queen of Public Transit. 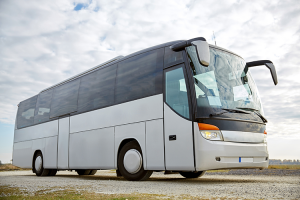 But over the past several weeks, I’ve read about a few accidents involving busses and trains that resulted not only in loss of property, but in loss of life. There have been collisions, running-off-the-road situations, and even a tram that took a turn too quickly and flipped off the tracks. 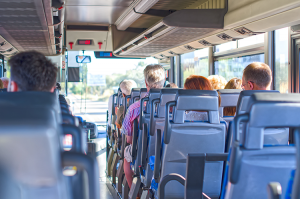 HOW CAN WE MINIMIZE OUR RISK OF INJURY ON PUBLIC TRANSIT? I mean, seriously, when was the last time you saw a public bus with seat belts? And how many times have you found yourself standing in a subway car, holding on to an overhead strap for “security”? We’ve got to admit that we’re in a pretty precarious situation when we step onto public conveyances. But we also have to admit that—as travelers—we’re not about to give up the trains, trams, funiculars, and busses at our destinations. Here’s what I’ve uncovered about staying as safe as possible when taking public transit. A bus can strike terror in your heart for many reasons…. For road vehicles, pick a seat in the middle of the structure. These seats are less likely to be affected by a head-on or a rear-end collision with another vehicle. NOTE: if you’re in a taxi, the safest place is the center of the rear seat…with your seat belt buckled, of course. Select your train seat with care! For trains, choose a seat toward the rear. Statistics have shown that trains are nine times more likely to derail than to be involved in a collision. And when that happens, the cars most likely to jump the tracks are the locomotive at the front, followed by the cars in the middle of the train. Given these facts, your best bet is to sit a few cars behind the center of the train, but at least one carriage forward of the rear-most car. Pay attention to the direction of travel…and pick your seat accordingly. For all vehicles, pick a seat on the side furthest from oncoming traffic. She’s happy because she has the aisle seat. For all vehicles, pick an aisle seat. Yes, we all want to see the views, but being slightly removed from the window gives you some protection against flying glass in case of collision. It also puts you closer to the most obvious route of escape (i.e., the central aisle) should a quick evacuation become necessary. Those table edges can be deadly! 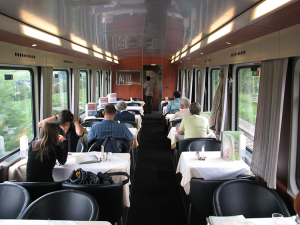 For trains, avoid seating near tables. When I travel with friends, I love getting those seats where we face each other around a table. Nothing passes time on the rails like a spirited game of gin rummy (even better when accompanied by actual gin). However, after researching this article, I will be avoiding those seats like the plague for all future travel. Why? If the train stops suddenly, the edge of the table becomes a bludgeoning instrument as your body jolts forward and can cause serious internal injuries. This goes for those tables in the restaurant/snack car, too. I couldn’t turn up any research on how to safely ride a subway or bus while standing up and hanging onto a strap. 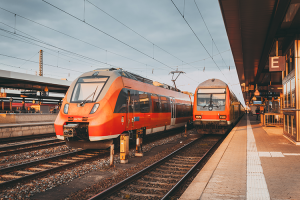 Common sense indicates that such a set-up is inherently unsafe should the vehicle experience a derailment or crash, as people who are standing can’t hold themselves in place during a violent stop and would instead find themselves hurtling, projectile-like, through the cabin. My best advice on this is, don’t do it. That may prove an impossibility during, say, rush hour in Tokyo, but at least now, you’ll be aware of the risk. 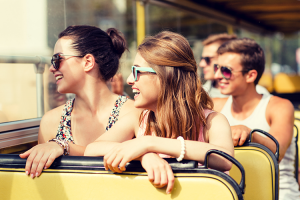 One parting note: when you get onto any public transportation, take a moment to note the safety features. I’m talking fire extinguishers, window breakers, and any exits marked specifically for emergency evacuation. It’ll only take a few seconds, and having that information stored in your noggin could mean the difference between life and death. Want to get weekly(ish) members-only content delivered straight to your inbox? Then sign up HERE!